← Delaire Graff , a stunning wine estate garden. Steam rises from the damp soil as the nurseryman hoses down the careful rows of potted plants. At 10am the heat is already intense and I keep close to the shade of the walls as we descend the steps to the coffee shop. Ahead the sound of a fountain and the welcoming arms of a spreading acacia tree. This is the Four Seasons garden centre in Lilongwe , and we’ve missed breakfast, so two vanilla milkshakes are quickly ordered. There are several small gift and clothes shops, readying themselves for the day, as well as a restaurant or two. 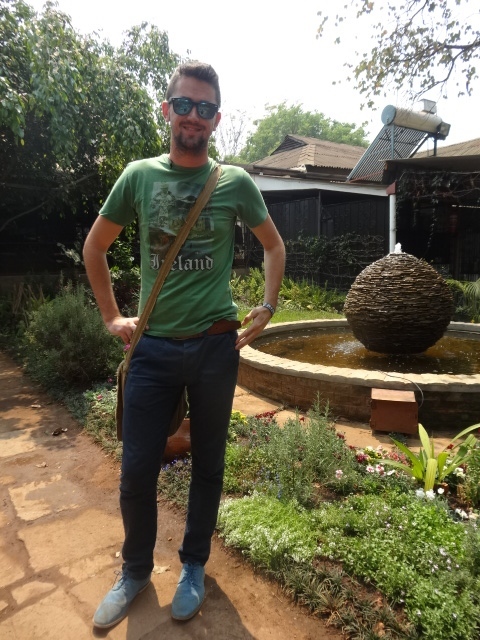 But of course it’s the plants I want to see – lots of exotic looking ones, which I remember from my days of living in South Africa, as well as the familiar roses, which grow very well here, and a fine assortment of terracotta pots. It seems very like a garden centre I might see back home, regimented rows of foliage plants and appealing blocks of flowering ones, geraniums, nemesia and marigolds for “instant colour”. 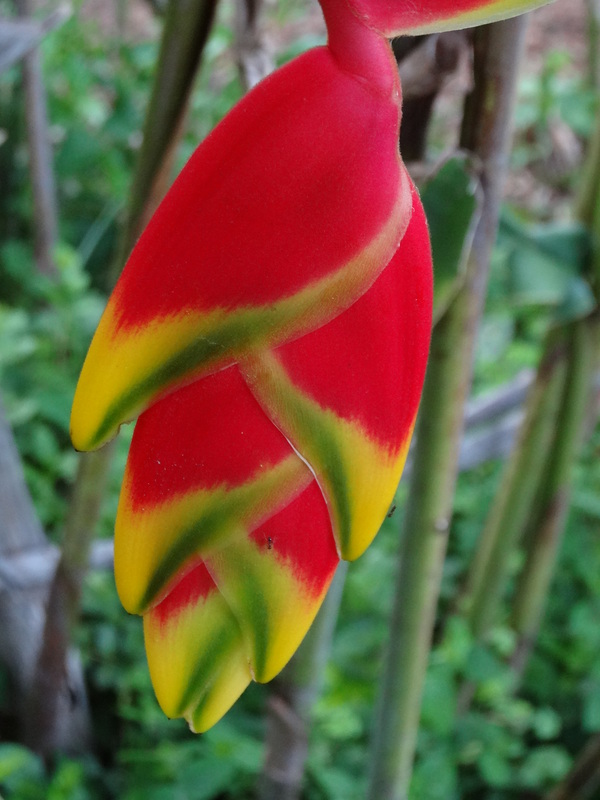 Of course, I love the strelitzias and the striking heliconias – if I was living in Lilongwe I’d go for lots of these flowers and exotic foliage … and yet, I remember how much I longed to grow lupins when I was living in Johannesburg. The lush foliage of the landscaped gardens surround the coffee shop. 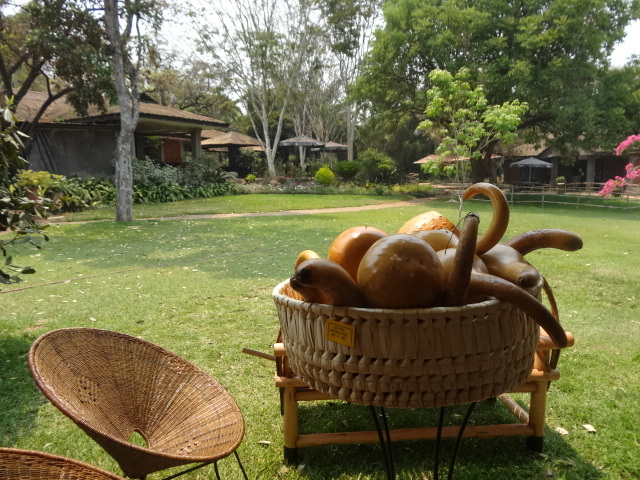 Last time I was here, we relaxed to the Chameleon Bar’s Sunday lunchtime jazz session in these lovely grounds. 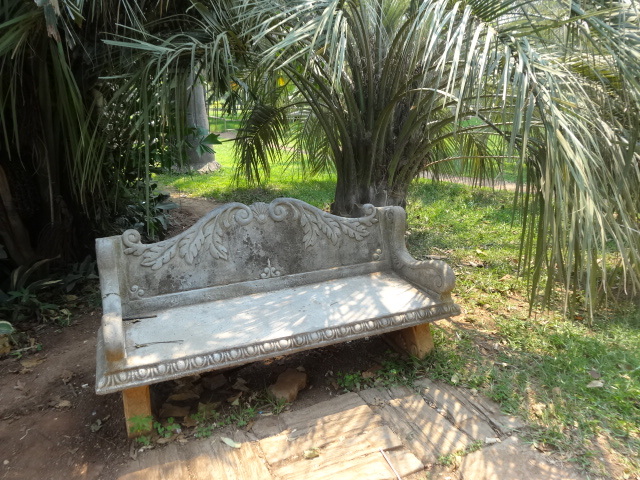 The sound of water is always welcome in a hot climate, as is a shady bench, especially one as nostalgic as this one. A last morning in Malawi. So it was back to the coffee shop and the milkshakes, and a fond farewell to my son who remains in Africa. We walked around the fountain once more before the reluctant journey to the airport. Wonderful very expressive post with so much beauty in it! I was sitting at my desk this morning,on a cold blustery day in Dublin,and reminiscing about my recent visit to Malawi… and it’s always good to know that someone else liked what I wrote. It’s cold and sunny day in NYC. I loved your photos and gentle heat of your writing. Best to you and everyone you love! Thanks Jewels. Well spotted – I think he dragged out the t-shirt to please his Irish Mom! 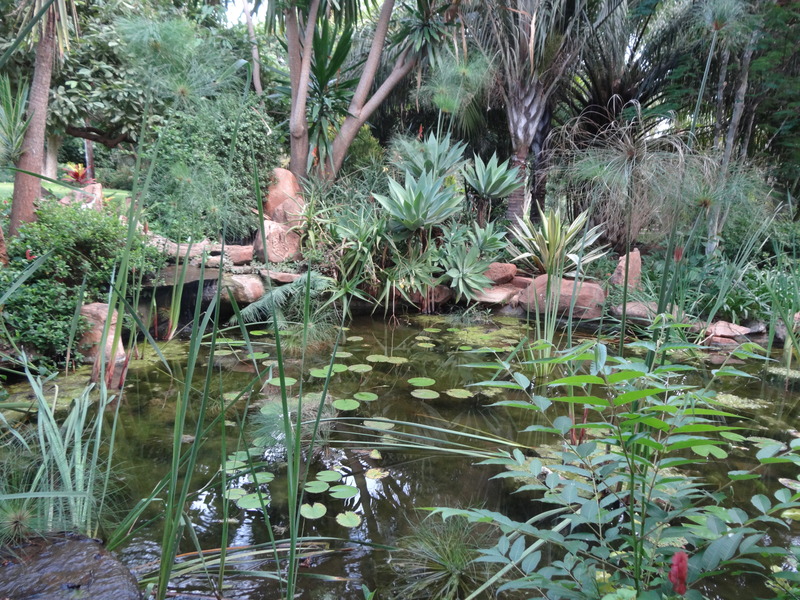 It’s been great to read all of your posts from S Africa, and it’s especially wonderful to see our common house and garden plants in their natural setting. It looks like such a spectacular country! Thanks Matt, lovely feedback. South Africa is without doubt the most beautiful country, with spectacular flora, and, as you say, great to see “our” garden(or house) plants in their native setting. Malawi is in much poorer shape, with rainfall – if it comes – for only a couple of months a year. The garden centre was a little oasis with a lot of irrigation I expect. I’m glad the photos and words did it justice.